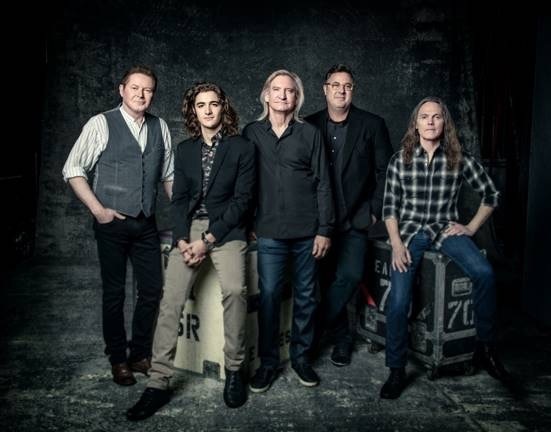 The Eagles – Don Henley, Joe Walsh & Timothy B. Schmit, with Vince Gill and Deacon Frey – have set “An Evening with the Eagles” concerts this fall, kicking off October 17 in Greensboro, North Carolina at the Greensboro Coliseum and continuing October 20 in Atlanta, Georgia at Philips Arena; October 24in Louisville, Kentucky at KFC Yum! Center; and October 27 in Detroit, Michigan at Little Caesars Arena. Tickets go on sale to the general public beginning Saturday, August 19 at 10 AM through LiveNation.com. American Express® Card Members will have the exclusive opportunity to purchase tickets before the general public beginning Tuesday, August 15 at 10 AMthrough Friday, August 18 at 10 PM. A limited number of VIP ticket packages will be also be available, including premium tickets, preshow VIP lounge, exclusive merchandise & more. For complete ticket information, visit https://eagles.com/events. ← Deep Purple, Alice Cooper, And The Edgar Winter Band Prove To Be Summer’s Incomparable Rock Show!